Once a year, legions of enthusiasts of all things geeky and niche, make their way from far and wide to San Diego, California, for the only Comic-Con that truly matters. Their passion is untamed and is usually expressed in elaborate dress and costume. 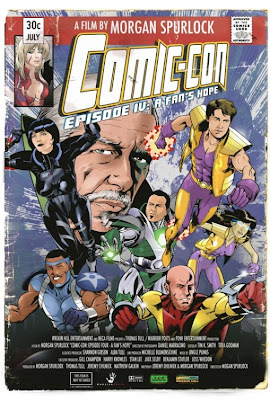 This parade of excess and devotion has been captured and also honoured in the now infamous documentarian, Morgan Spurlock’s latest, COMIC-CON EPISODE IV: A FAN’S HOPE. Suffice it to say that if you don’t get the Star Wars reference in the title, this film is not for you. For everyone else though, Spurlock has crafted a touching and cheeky look at how the convention and its fans have changed over the years. And he doesn’t narrate this one either! I don’t ordinarily mind him at all and I commend him for managing to maintain his witty tone without appearing on screen.